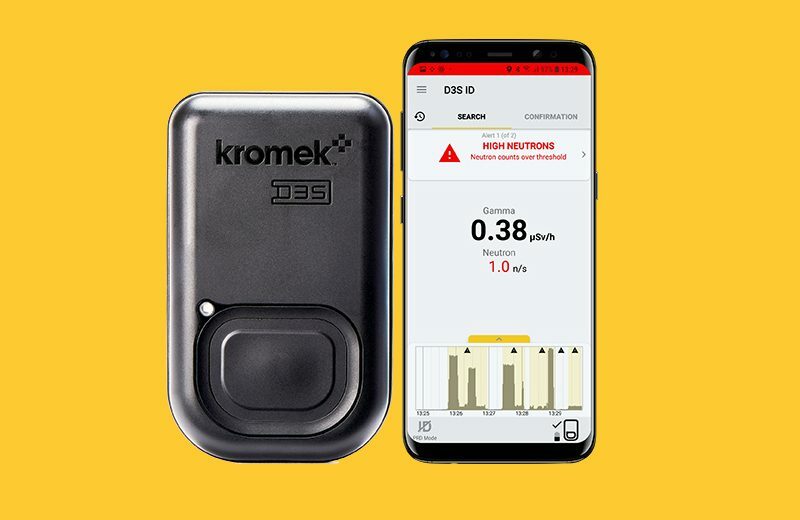 Hear Kromek’s Kevin Good, Business Development Director Homeland Security, talk about our D3S ID pocket-sized RIID system on the Darley Podcast (Darley is an American distributor of the D3S ID). The D3S is a perfect radiation detector for hazmat teams, police and border forces as well as event and VIP protection. 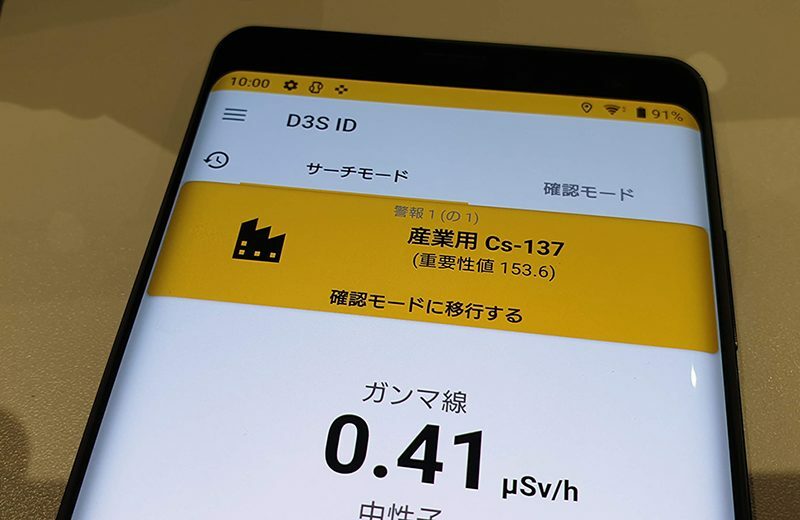 The D3S ID allows discrete and fast identification of gamma-ray isotopes and neutron detection – in other words, it is a tool that you use to protects you and the people you are sworn to protect against nuclear terrorism and other nuclear dangers. When responding to an incident, hazmat, fire and rescue, police and border personnel may be walking into a situation that involves substances that are radioactive. The radiation may be from a malicious attack, say a radiological dispersion device (often called a dirty bomb) or a radioactive substance left in the open as a radiological poison. Alternatively, the threat could come from a smuggler trying to move radioactive substances across a border. Or from a legitimate user having an accident where the shielding around the isotope is lost. All of these create new time pressures on the first responder and create a need to identify what isotopes are being encountered and if a neutron source is detected. A radioactive substance used in a terrorist attack is likely to be shielded to prevent its detection by gamma radiation detectors; it is vital that any detectors carried can detect neutrons as well as identify the radioactive isotopes found. There are numerous radioactive substances used in the medical, industrial and technology sectors. Being able to identify those substances and identify the radioisotopes that are more likely to have a malicious use is vital. Armed with this knowledge the first responder can act appropriately. In each, every case speed and accuracy of detection is important as is the ability to reach back to get more specialist help if needed – all this means that the radiation detector for hazmat teams, police and border forces should be designed specifically for them. 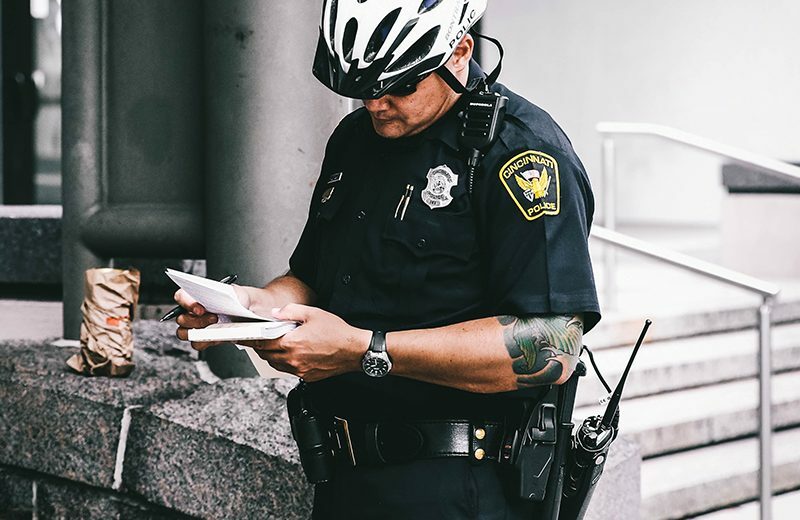 It is designed to give first responders the radiation dose, radioisotope identification and neutron detection in one easy to use wearable detector. 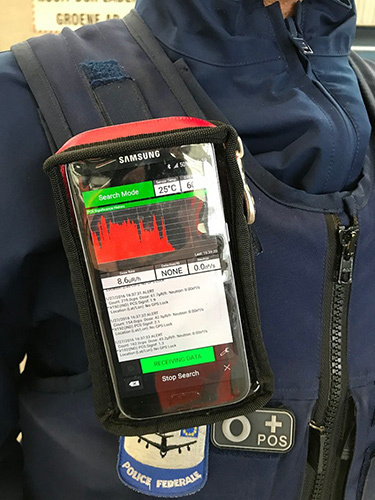 The data from the detector is shown on our secure mobile phone app (which can announce the results over the phone’s speakers or through an earpiece) as well as on the screen. This makes it very easy to use and understand. It also makes it very hard to spot if the device is being used. The detector is always searching for radiation and can via the DARPA Sigma network can automatically report is finding back to a central control screen. The D3S phone app has had a redesign to make it easier to use and clearer to see what is going on. Organisations from the UK and overseas will be recognised for their contributions to reducing the threat from global terrorism.